I love Easter, and love making Easter treats! But sometimes after cooking up a big Easter brunch, I just don’t have the energy to spend an hour or more making a dessert completely from scratch. Which is why I always keep a cake mix or two in my pantry. 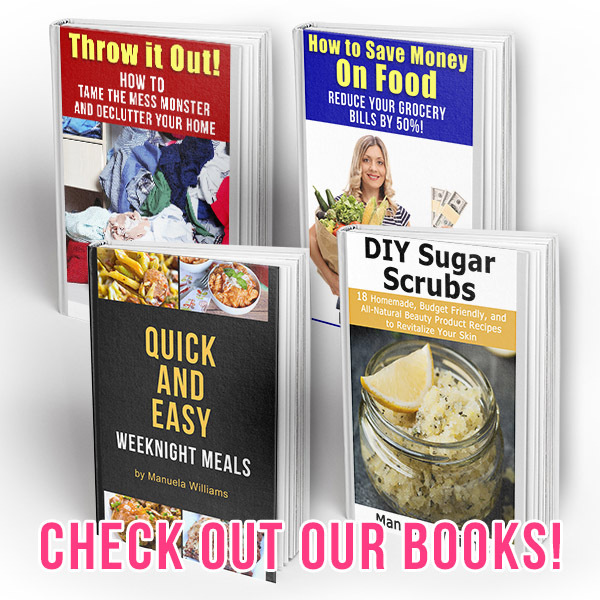 While we most of the desserts we eat I make from scratch, sometimes you just need the convenience of an inexpensive boxed mix! 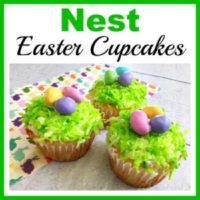 To help make your Easter less stressful, take a look at how a boxed cake mix can give you the base for these pretty Nest Easter Cupcakes! 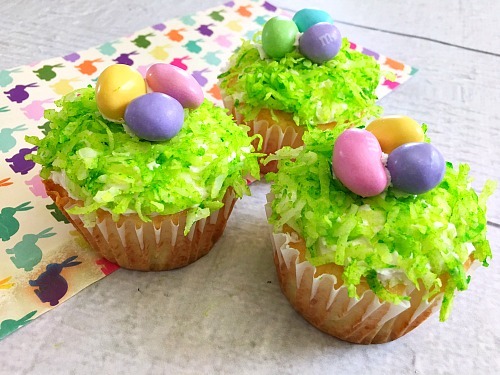 While I used peanut M&Ms in this nest Easter cupcake recipe, if you want to make this safe for someone with a peanut allergy, feel free to use a different type of M&M, or a totally different kind of candy egg! 1. Preheat your oven to 350° and line a cupcake pan with cupcake liners. 2. 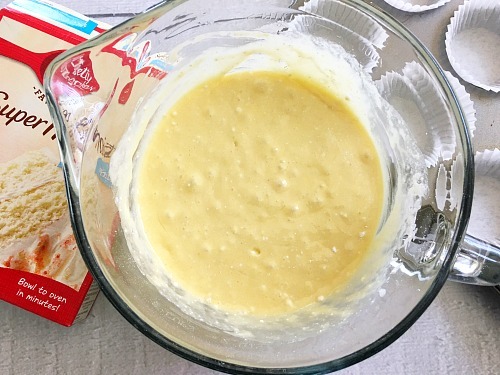 In a large mixing bowl whisk together your cake mix, oil, eggs, and water. 3. Fill your cupcake liners three quarters the way up with your cake batter and bake for 15 minutes. 4. Let your cupcakes cool and frost with your vanilla frosting. 5. 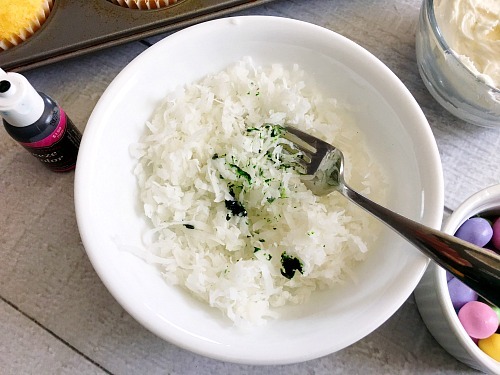 Using a small mixing bowl, mix together your coconut flakes with a few drops of green food coloring until your coconut is green. 6. 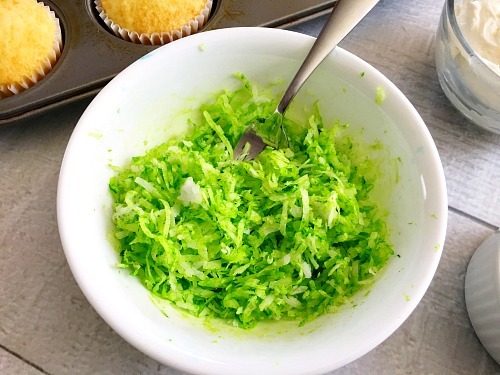 Turn your frosted cupcakes upside down and dip into your green coconut. 7. Dip the bottom of 3 peanut M&M into your frosting and stick onto the center of each coconut covered cupcake. Then your nest Easter cupcakes are finished! Aren’t they cute with the little “eggs” and coconut grass? 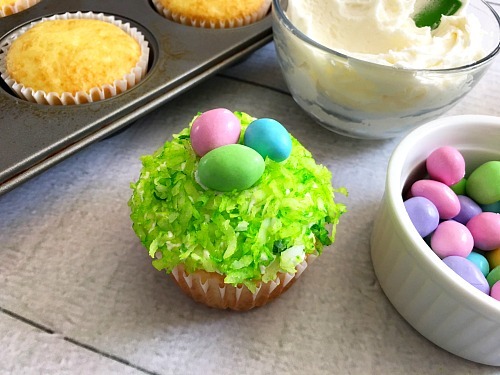 Why wait for Easter, feel free to have these just as fun spring desserts! What’s your favorite Easter dessert? 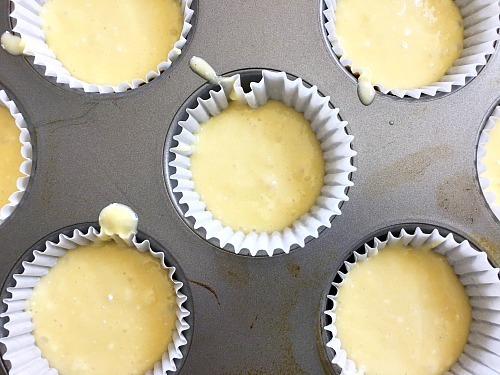 Preheat your oven to 350° and line a cupcake pan with cupcake liners. 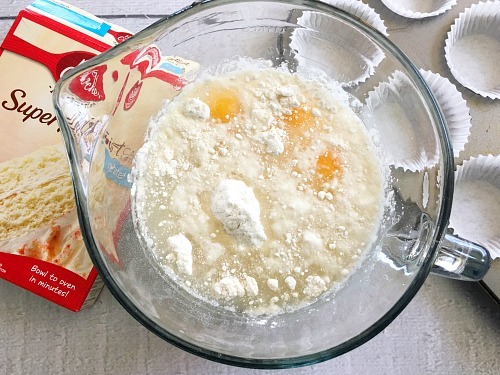 In a large mixing bowl whisk together your cake mix, oil, eggs, and water. Fill your cupcake liners three quarters the way up with your cake batter and bake for 15 minutes. 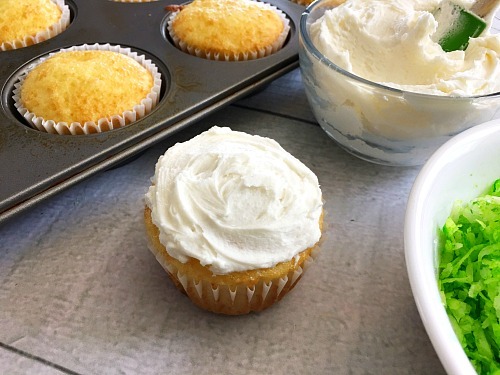 Let your cupcakes cool and frost with your vanilla frosting. Using a small mixing bowl, mix together your coconut flakes with a few drops of green food coloring until your coconut is green. 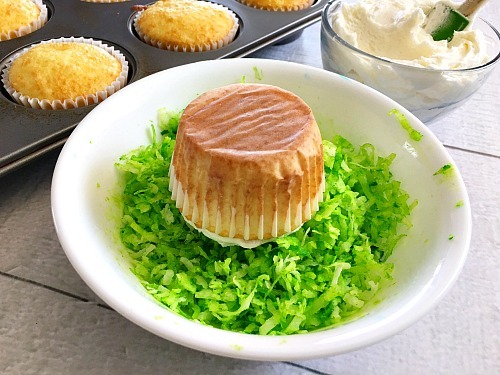 Turn your frosted cupcakes upside down and dip into your green coconut. Dip the bottom of 3 peanut M&M into your frosting and stick onto the center of each coconut covered cupcake. Love these bright and cheerful cupcakes! I adore these cute and colorful cupcakes! Thanks so much for sharing your yummy recipe on the Monday Funday Party! I LOVE this recipe! 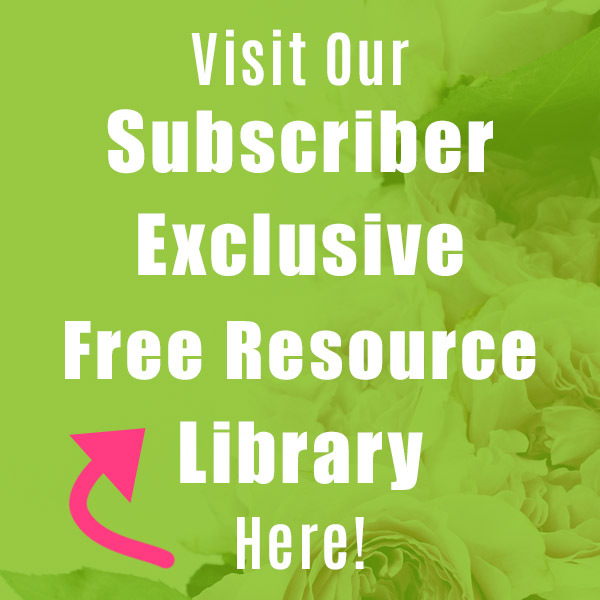 Thank you so much for sharing your delicious recipe at the Delicious Dishes Recipe Party! 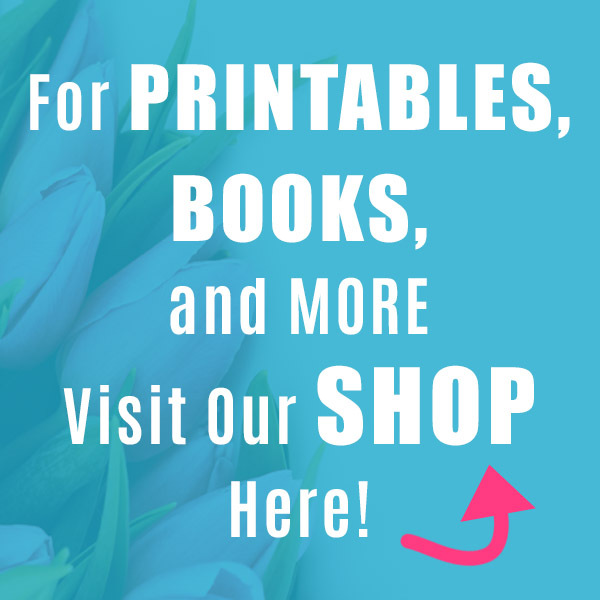 I pinned this recipe along with a bunch of other yummy recipes from your site! The green coconut is such a great idea, these are adorable! Reminds me of cupcakes we made as kids with colored coconut. So cute! Thanks for sharing at Funtastic Friday! Very cute cupcakes!! 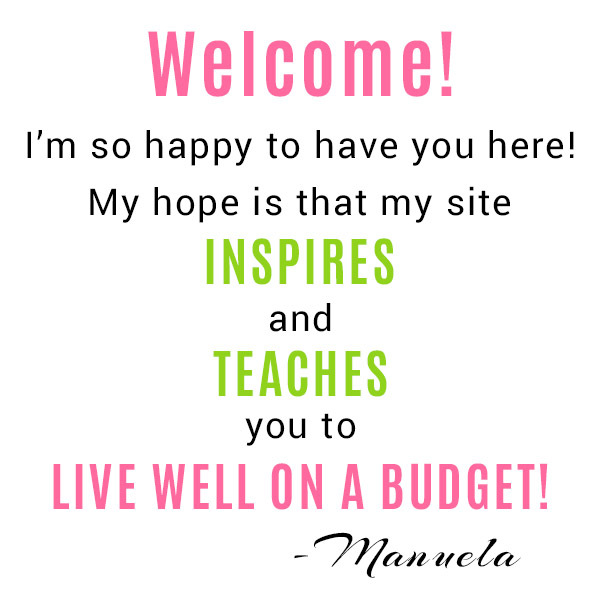 You’re my feature this week at Welcome Home Wednesdays! Congrats! See you tomorrow!